There is a trend in Franklin County of long-serving county clerks and Debbie Door gives credit to her staff for the best years of her career. Door, 66, who is the first woman to hold the office, will be retiring from the county clerk’s position after having held the office for the past 16 years. Door says that friendships are what she’ll miss most when her term expires on Dec. 31. Her advice to her successor Tim Baker is to listen and embrace the staff. After 34 years in the banking and mortgage business, Door decided to run for county clerk in 2002 when then clerk Tom Herbst announced he was leaving the office after more than a decade. She ran against Herbst’s chief deputy Kathy Hardemann and both candidates agreed they would run a clean campaign without any dirty politics. Door said going in she had no experience in being an elected official, but knew her banking background would be beneficial to her and the county. Door won the election and made Hardemann her chief deputy and not surprisingly, the pair became close friends. When she entered office in January 2003 Door came into the position completely green and had to rely on the staff she’s grown to love to teach her the ropes. Door always remembered those early days of finding her way in the dark and vowed she would make things better for others in her position in the future. 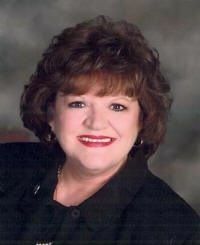 During her time as president of a statewide organization for county clerks, Door made sure there was a system in place for communication and support. Door added another highlight of her career as clerk was the modernization of the payroll system and using new technologies to better serve the residents of the county. The crown jewel in Door’s career is the countless hours spent on elections over the past 16 years. As chief election authority, Door and her staff have been responsible for the elections that unlike other counties and states, have run smoothly on her watch. Although it’s been talked about for a year, the walls in her office are now bare, her desk is cleaned off, memories have been boxed up and taken home. Just as she came into office green in 2003 she enters retirement the same way. She added spending time with family is high on her list, especially her husband of nearly 50 years, Neil, and grand-kids. She also looks forward to nurturing her new hobby of genealogical research. “On Day One, I’ll get up, eat breakfast and see where the day leads,” she said.